If you’re looking for budget phones that won’t break the bank, you’re in the right place. Here is a list of cheap and affordable smartphones to fit your budget. 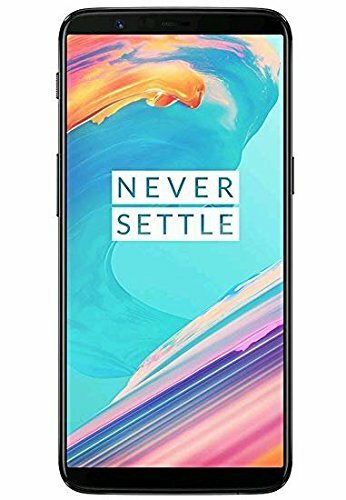 Flagship smartphones are definitely worth the money, as they are very fast and come in elegant and astounding designs with a lot of interesting features. However, they do cost a lot; so, if you want a functional smartphone with decent features at a reasonable price, take a look at these options. All these phones come with good hardware and all useful features. They might come cheap, but they don’t look like they are. Some of them even have premium features like fingerprint sensors; waterproofing; excellent cameras and so on. Let’s see some of the best cheap smartphones. The Honor Play comes with a HiSilicon Kirin 970 octa-core chipset, combined with a Mali G72 MP12 graphics card. It sports a dual camera setup, with a RAM of 4 GB and an internal storage of 64 GB, which can be enhanced to a maximum of 256 GB with a microSD card. This is a touchscreen IPS LCD display screen of 6.3 inches with a resolution of 1080 x 2340 pixels. The design sees a uni-body metal and the screen has a display ratio aspect of 19.5:9. It has an edge to edge design with minimal bezel. There is a fingerprint sensor on the rear, with other buttons located on the right and the dual SIM tray on the left. There is the USB Type C port at the bottom along with a headphone jack of 3.5 mm, microphone and loudspeaker. It has a thickness of 7.5 mm and weighs 176 grams. One of the highlights is the GPU Turbo, which has been optimised for gaming. The battery is powered at 3750 mAh. It is a dual SIM phone that can be connected to 4G networks simultaneously. It runs on Android 8.1 Oreo with the EMUI 8.2 skin overlaid on it, coming with some preloaded apps and games. As for the camera, there is a rear dual camera setup of 16 MP and 2 MP. The front camera has a resolution of 16 MP. 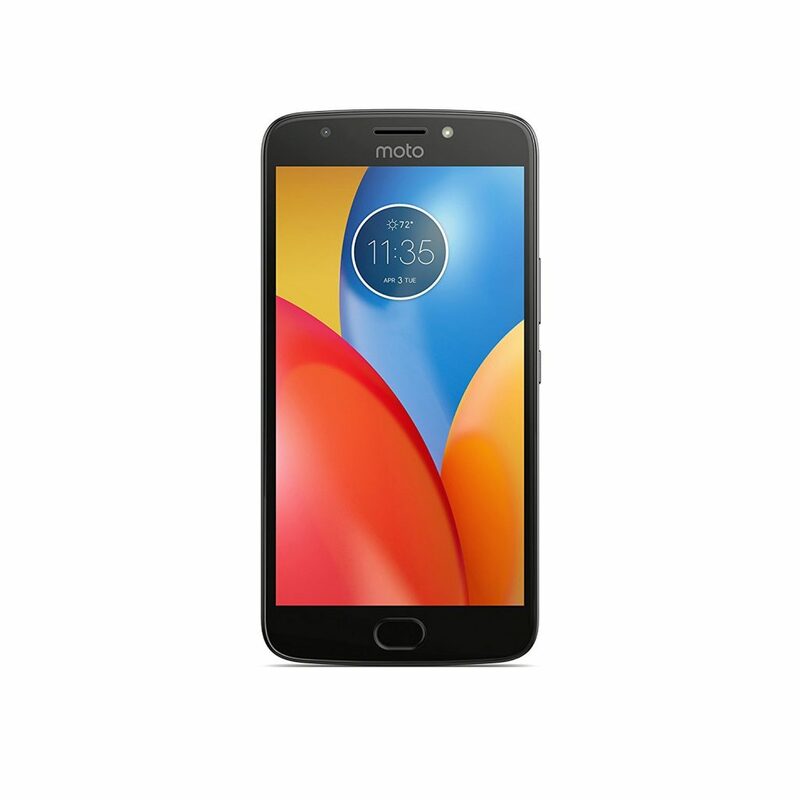 The biggest selling point of the Moto E4 Plus is its huge battery size powered at 5000 mAh. The battery is good to last you at least for two whole days. Other specifications are, however, limited. It comes in a fully metallic shell that offers a premium feel in the affordable category. The back is curved and sits comfortably in the hand. There is a micro USB port along with the speaker placed at the bottom. In addition, it has a 3.5 mm headphone jack. It has a weight of 198 grams and a thickness of 9.6 mm, but it is a little chunky due to the big battery, which is not removable. It has a fingerprint scanner below the display screen and can be used for easy unlocking of the phone. 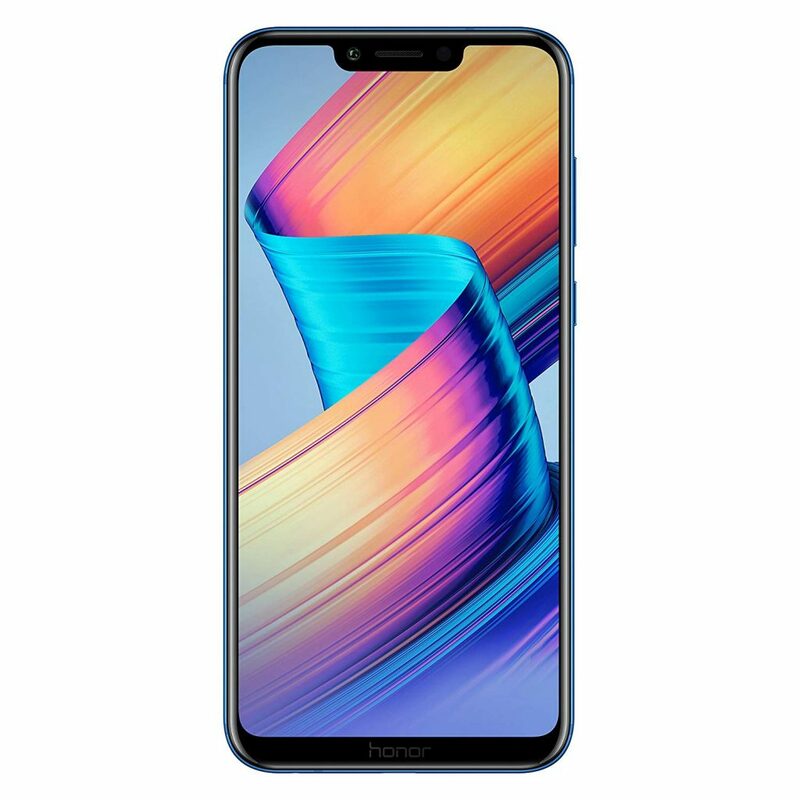 It comes with a 5.5 inches HD display of 720 pixels and a ppi of 267 with a water repelling screen feature, offering a clear and bright display, good enough for watching videos and for video calls. The rear camera comes with a 13 MP sensor and can take decent pictures along with a 5 MP camera for taking selfies. It is powered by the Qualcomm Snapdragon 427 chipset clocking a speed of 1.4 GHz coupled with a RAM of 2 GB and an onboard storage of 16 GB. It also offers support for expanding the internal storage up to 128 GB using a microSD card. It runs on Android 7.1 Nougat. 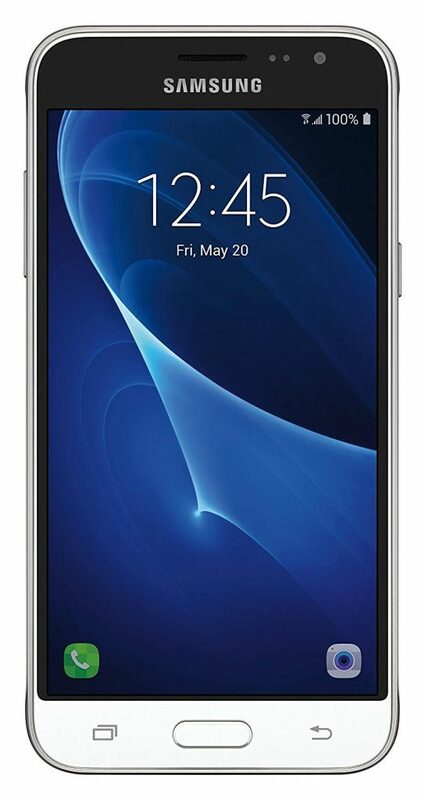 This is an unlocked phone and is compatible with AT&T as well as T Mobile, Sprint and Verizon networks. It has a metal frame with a polymer glass back, which has a lesser tendency to breaking. There’s a fingerprint sensor on the front with a sensor that is quick and accurate. All the buttons are located on the right, whereas the SIM tray is on the left. The headphone jack of 3.5 mm is found on the top. It has a micro USB standard port for charging. It is powered by a Qualcomm Snapdragon 430 chipset, clocking a speed of 1.4 GHz and has 3 GB of RAM combined with an internal storage of 32 GB, which can be expanded up to 128 GB using a microSD card. 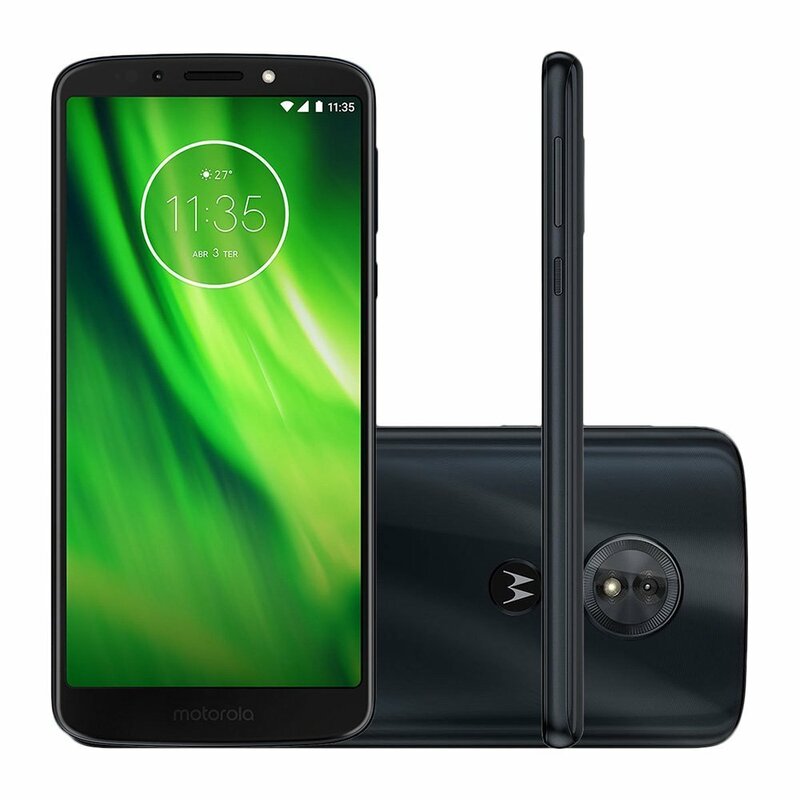 The battery size is 4000 mAh and this is the biggest selling point of the Moto G6 Play, offering an average playing time of 32 hours of mixed usage. It supports dual SIMs, but only one of them can run on 4G at a time, whereas the other runs at 3G. The display is 5.7 inches of HD and IPS with an aspect ratio of 18:9. It runs on an almost stock version of Android 8.0 with Moto value additions and customisations. As for the camera, it has a 13 MP rear camera and a 8 MP front camera. In short, it is a great looking middle of the road smartphone with a large battery. It comes with a display screen of 6.01 inches and a resolution of 1080 x 2160 pixels, using the AMOLED technology. It is made of aluminum and is solid and eye-catching. The fingerprint sensor is placed at the back and is easy to reach. At the bottom are found the 3.5 mm headphone jack, a USB Type C port along with the speaker grille. On the left is the Alert Slider along with volume buttons, with the power button on the right. It is a dual SIM smartphone, but there is no support for expanding the storage. It weighs 162 grams and is quite bulky. The phone is powered by the Qualcomm Snapdragon 835 chipset with integrated graphics card Adreno 540 and a RAM of 8 GB and internal storage of 128 GB. It offers support for VoLTE as well as 4G for both the SIMs, but only for one at a time. The battery is powered at 3300 mAh and it comes with the proprietary Dash Charge for quick charging. As for the camera, the primary camera has a resolution of 16 MP along with a 20 MP secondary partner. The front camera is decent at 16 MP and can be used for selfies, video calling and social media requirements. Battery life is good at about 13 hours. It is supported by the Android 7.1.1 software with the OxygenOS customization. 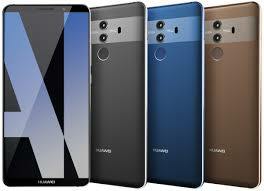 The phone also offers support for facial recognition for opening the device along with the fingerprint sensor. It is a practical phone that comes with an excellent slick design mostly in plastic with metal used strategically on the sides for a good feel. It does not have a fingerprint scanner, however. It is slim at just 8 mm thickness with a slim screen surround. The screen size is 6 inches and it has a resolution of 720 pixels. Colors are good and the display and contrast is excellent. It comes with a physical button for the camera on the right. The storage is 32 GB and it also has a microSD card for increasing storage to a maximum of 256 GB. As for the camera, Sony offers a picture enhancement mode for making your photos look more saturated. It is supported by the Android 7.0 Nougat version OS with Sony’s customised interface laid over it. You get the usual Sony PlayStation app useful for PS4 owners as well as Sony Video, music apps etc. It’s a good practical phone, though not a leader. It has a RAM of 3 GB DDR3 combined with the MediaTek Helio P20 CPU with Cortex A53 cores, with 4 of them clocking at 2.3 GHz and 4 of them at 1.6 GHz. As for the graphics card, it is equipped with the Mali T880MP2. The battery is powered at 2300 mAh, which is the conventional size for a phone at this price. The camera is the best for the price. At the rear, it has a 23 MP camera offering excellent detail and images. The selfie camera has a 16 MP sensor with OIS to take excellent images even in low light condition. Its top selling points are the bright screen and the top quality of its primary camera. This is an unlocked phone and is compatible with all GSM and LTE carriers, such as AT&T; T Mobile: Straight Talk; MetroPCS and others. 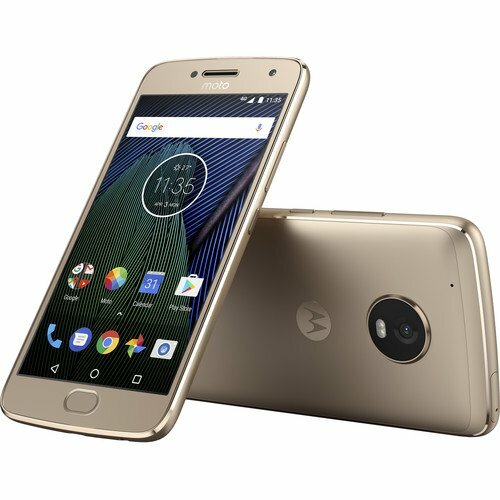 The Moto G5 is the younger sibling of the Moto G5 Plus and comes with a smaller screen. It is made of Aluminum 6000 with a chrome lining along the front. It has a micro USB port at the bottom with the audio port of 3.5 mm at the top. Power, as well as volume buttons, are found on the right and it has a battery that can be removed. Above the display is a fingerprint sensor on the front. It weighs 145 grams and can be easily used in one hand. Its thickness is 9.5 mm and it has rounded, comfortable edges. There is a nano-coating on the screen that protects it from rain and water. The display screen is 5 inches of IPS LCD having a resolution of 1080 x 1920 pixels with 441 ppi. 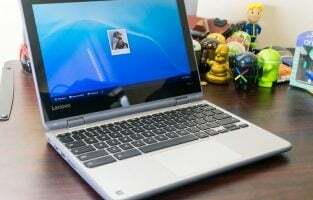 It is powered by the octa-core, Qualcomm Snapdragon 430 chipset clocking a speed of 1.4 GHz and this is combined with the Adreno 505 graphics card. The RAM is 3 GB and the internal storage is 32 GB, with a microSD card support, which can be used for expanding the storage to a maximum of 128 GB. The dimensions are 144.3 x 73 x 9.5 mm and it has a battery powered at 2800 mAh. It offers support for two Nano SIMs and also offers support for 4G with VoLTE. It runs on Android 7.0 Nougat. As for the camera, it has a rear camera of 13 MP along with LED flash, supporting 8X zoom. The front camera comes with a sensor of 5 MP. The removable battery can offer a whole day of mixed usage. It can be charged rapidly, so this is one of its major selling points. Another interesting feature is that this is one of the few phones in this price bracket that offer you a nearly pure Android Nougat experience along with the Google Assistant. Apple has succeeded in bringing the raw power of its flagship smartphones to a smaller version. It’s the cheapest Apple smartphone available in the market, with the key selling point being its design. It comes with a touch ID fingerprint scanner. It is powered by the A9 processor with 64-bit architecture with the M9 coprocessor and combined with a RAM of 2 GB. As for graphics, it comes with the PowerVR GT7600 6 core graphics. The battery is powered at 1624 mAH. 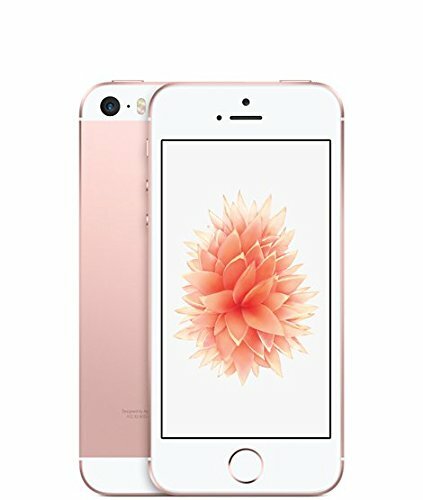 It is very similar to the iPhone 5 in all respects, except that it comes in rose gold. The screen is a Retina display and is sharp and clear with a resolution of 640 x 1136 pixels. The dimensions are 123.8 x 58.6 x 7.6 mm and it is light at just 113 grams. It does not, however, have the 3D Touch feature seen in the flagship devices. As for the camera, it comes with the iSight camera having a sensor of 12 MP with hybrid IR filters and panorama up to 63 MP. 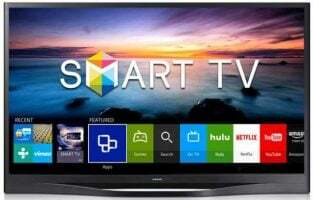 It is capable of recording 4K videos with a resolution of 3840 x 2160 pixels at 30 frames per second and also offers support for slo motion videos. As for selfies and Facetime, the camera has a resolution of 1.2 MP. It is supported by the iOS 9.3.2 and is upgradeable to iOS 12. 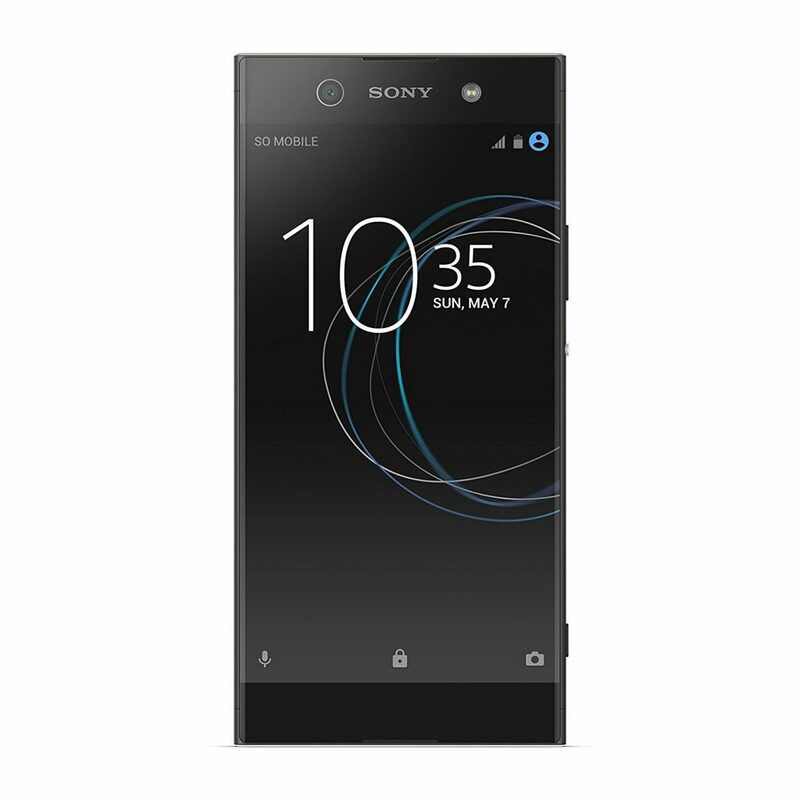 This is a compact budget offering from Sony with a display screen of 4.6 inches having a screen resolution of 720 pixels with an LCD panel offering good colors and good viewing angles. It is powered by the Snapdragon 650 and this is combined with a RAM of 3 GB and an internal storage of 32 GB. The storage can be increased using the microSD card. It comes with a graphics card Adreno 510. It is made of plastic with a square design. It is compact and can easily be held in one hand. The US versions do not have a fingerprint scanner feature. It is supported by the Android 6.0.1 OS with Sony’s proprietary skin on the top. It looks rather like a Nexus device with some customisation and tweaks. As for the cameras, it has a rear camera with a 23 MP sensor and is capable of taking good photographs for those who want to share on Instagram. The front camera is a 5 MP resolution one. The battery is powered at 2700 mAh and performs admirably for a phone of this small a size. It lasts around 15 hours and you can get through the day quite comfortably. It makes use of a USB Type C port for charging and also offers a Quick Charge feature. This is a mid-range smartphone from Samsung with an OLED screen size of 5 inches and a resolution of 720 pixels. It does not look flashy and comes with a slim plastic battery. One stand out feature is the metal parts on this smartphone, offering a pronounced click on the central button, seen usually only on high-end Samsung smartphones. Another unique feature is the NFC included in it. The J3 comes with a storage of 8GB but you can expand it using the microSD card. The J3 comes with an ‘outdoor’ mode to boost the display on very bright days and it deals very effectively with bright sunlight. The OLED screen offers rich colors and excellent contrast. The smartphone is supported by the Android 5.1.1 OS with a top layer of TouchWiz, Samsung’s proprietary Android skin. It is powered by the quad-core Spreadtrum process clocking at a speed of 1.2 GHz combined with the Cortex A7, 32-bit architecture and a RAM of 1.5 GB. As for the camera, the Samsung Galaxy J3 has a rear camera of 8 MP, which is just a basic setup but it offers good image results and the camera is fun to use. The front camera comes with a resolution of 5 MP and is capable of taking natural selfies. The battery is removable and powered at 2600 mAh, which is quite decent for a phone in this price range. The speaker offers reasonable sound quality for an entry-level phone. It comes with a metal chassis and a satin finish, which feels good to hold, offering pleasing aesthetics. 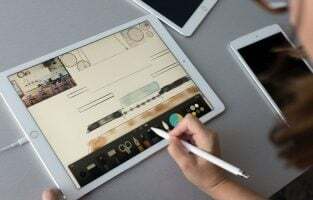 The display screen is 5.5 inches and it is possible to shrink its display along with the keyboard so that it becomes easier to use with a single hand. Viewing angles and brightness are decent. 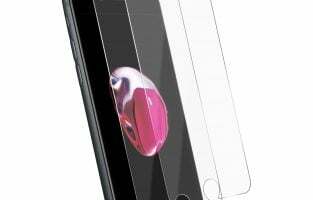 The screen comes in full HD resolution and the glass is resistant to scratches. It is a dual SIM phone, with one SIM set to 4G / 3G / 2G and the other will support only 2G network. It also has a microSD card slot, for expanding storage up to 128 GB. At the rear, it has a dual camera system with LED flash. The dual lens of 12 MP can take good quality HD pictures. It also comes with a fingerprint sensor on the back, which offers a good response. 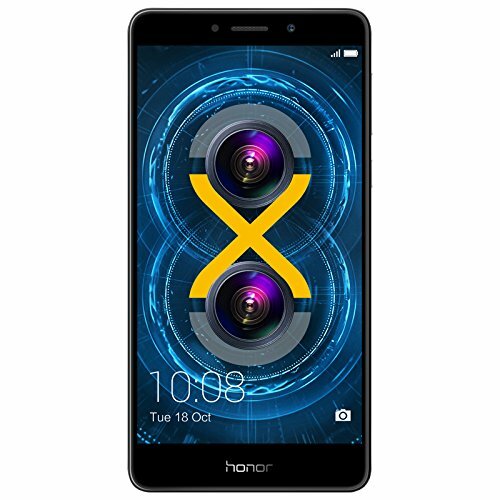 The Honor 6X is powered by a proprietary Kirin 655 chipset, which is a mid-range octa-core processor, with 4 Cortex A53 CPU cores, clocking a speed of 2.1 GHz and 4 Cortex A53 cores clocking at 1.7 GHz. As for the graphics, it uses the Mali T830 GPU. This is combined with a RAM of 3 GB and 32 GB of internal storage. It runs on Android 6.0 Marshmallow with an overlay skin of EMUI 4.1. Though the device might not be able to compete with flagship phones, it offers good real-world performance. The battery offers about 2.5 days usage normally, with 1.5 days of heavy usage with a single full charge. It comes with a plastic rear and a metallic finish, which looks nice. It comes with a 4.5 inches touchscreen that is responsive and a VGA display resolution of 480 x 854 pixels, with a ppi of 220. It is powered by a quad-core processor clocking a speed of 1.3 GHz and has a RAM of 1 GB. It packs an internal storage of 8 GB but it cannot be expanded as there is no microSD card slot. At the bottom of the phone rests the micro USB port for charging the device. The power and volume buttons are on the back and the headphone jack is seen at the top. As for the cameras, it has an 8 MP rear camera and a 5 MP front camera for selfies. It is selfie stick friendly, and you can use voice or gesture commands for taking pictures. It runs on the Android 5.0 OS and has a removable battery powered at 1900 mAh. 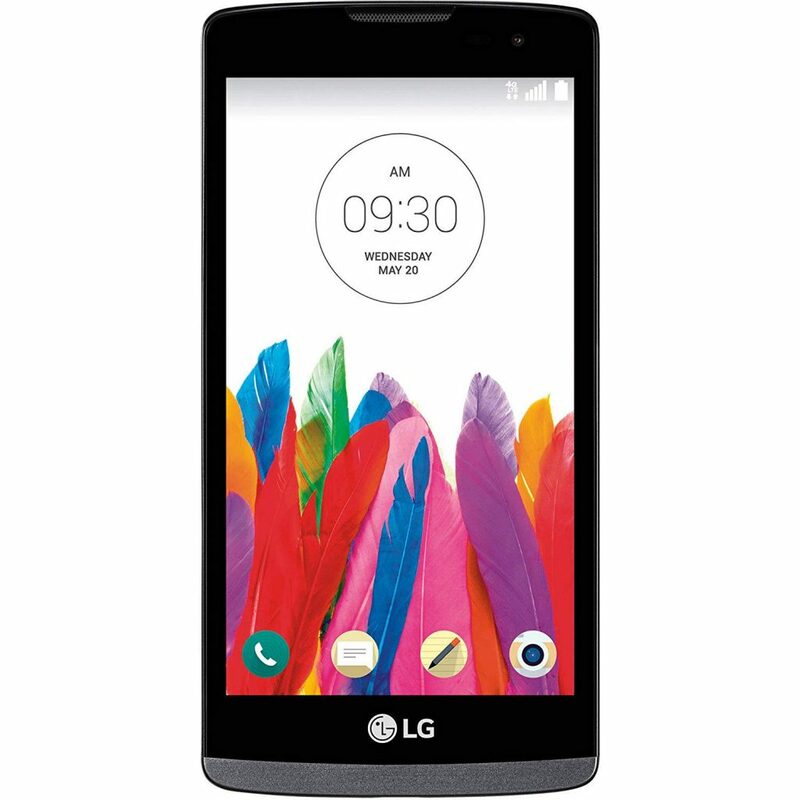 The dimensions of the LG Leon are 129 x 64.9 x 10.9 (HWT) mm, thereby making it a compact smartphone. It is a single SIM mobile phone that can be used with a regular SIM. Some of the features found in high-end phones, such as NFC, is also seen in the LG Leon. It sticks with only 3G and not 4G. You can call it an affordable premium phone, as there are some premium features like gesture control and NFC. It is a 4G Windows phone, released as a follow up to the earlier Nokia Lumia 630. It is a 4G phone with a shiny plastic body. It comes with a 4.5 inches small screen and is 9.2 mm in thickness, giving it a small and chunky feel. The screen is pretty basic with an IPS LCD screen having a resolution of 854 x 480 pixels and a pixel density of 218 ppi. The internal storage is a reasonable 8 GB and there is also a microSD card for expanding this storage. 4G is the most important selling point of this low-cost Windows phone from Nokia. 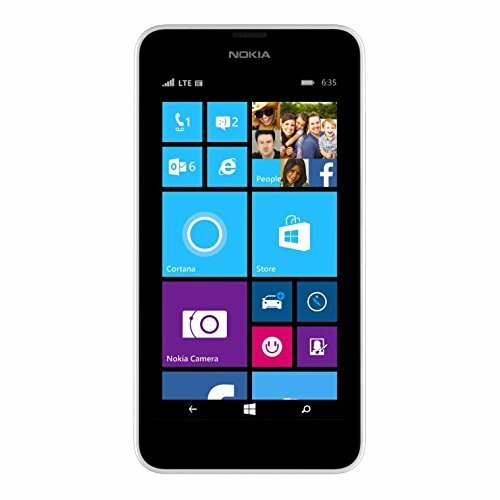 It runs the Windows Phone 8.1 operating system and brings in all the useful features with all the usual smartphone features, apps and utilities being covered. The RAM is 512 MB and it is powered by the Snapdragon 400, quad-core CPU clocking a speed of 1.2 GHz. As for cameras, it has a rear 5 MP camera, but there is no front camera. Camera quality is good and it comes with autofocus feature, with decent exposure and color reproduction. It is powered by a battery of 1830 mAh and you can easily get a day’s usage from it. Call quality is decent enough for the price. Most people do not want to spend as much as $1000 on a smartphone. The average price for a budget smartphone with reasonably decent specifications is around $300. In recent years, there have been plenty of good options in the budget smartphone scenario. You get all the functionalities, you can check emails, read the news and interact with friends on social media. However, you will have to compromise on top of the line features found inexpensive phones. A budget smartphone can still be a good buy offering good features despite some price-sensitive constraints and trade-offs.